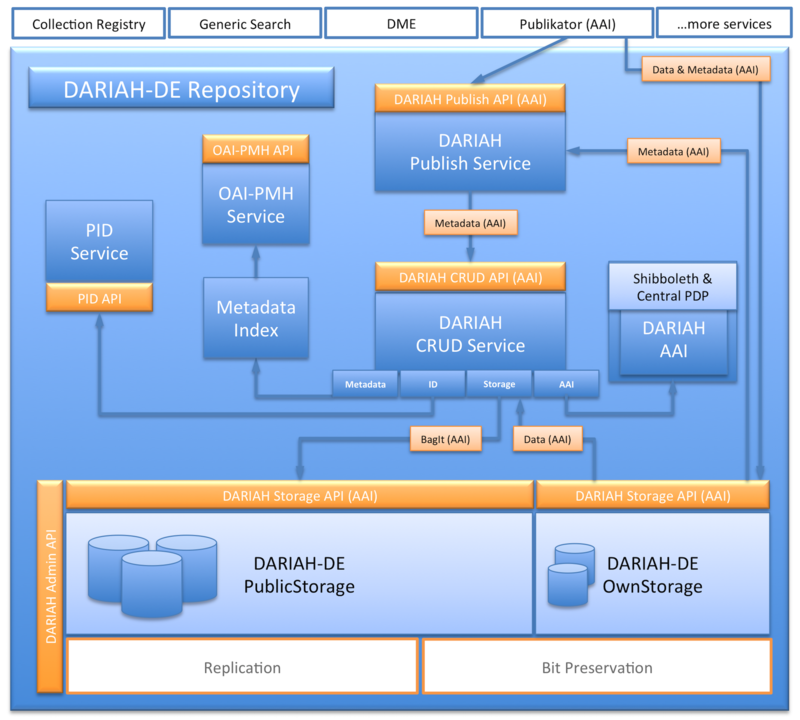 A PFD version of the complete DARIAH-DE Repository Documentation you can find HERE. DARIAH-DE operates a repository as a digital long-term archive for human and cultural-scientific research data. 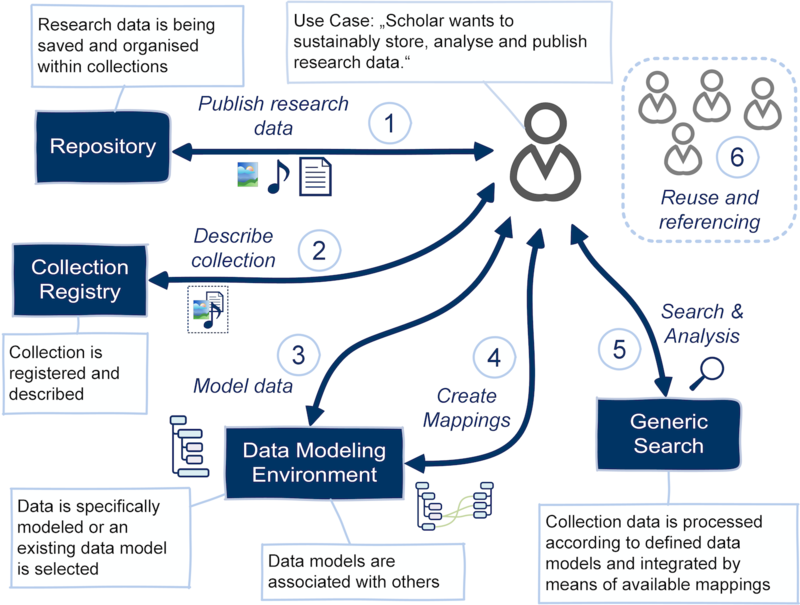 The DARIAH-DE Repository is a central component of the DARIAH-DE Research Data Federation Architecture, which aggregates various services and applications and can be used comfortably by DARIAH users. The DARIAH-DE Repository allows you to save your research data in a sustainable and secure way, to provide it with metadata and to publish it. Your collection as well as each individual file is available in the DARIAH-DE Repository in the long term and gets a unique and permanently valid Digital Object Identifier (DOI) with which your data can be permanently referenced and can be cited. In addition, you can register your collections within the Collection Registry, which are then also found in the Generic Search. On this site all user guides and public APIs of the DARIAH-DE Repository are documented, that are of interest for access, import, dissemination, and resolving. More information about the DARIAH-DE Repository you can find at the DARIAH-DE Portal. Easy import and publish features you can find with the DARIAH-DE Publikator. Portions of this software may use (XML ¦ RDF) schemas Copyright © 2011 DCMI, the Dublin Core Metadata Initiative. These are licensed under the Creative Commons 4.0 Attribution license.